This is what Jose Mourinho means when he talks about the difference between the Champions League and the Europa League. The difference between the best club on the continent and teams aspiring to play at that level. 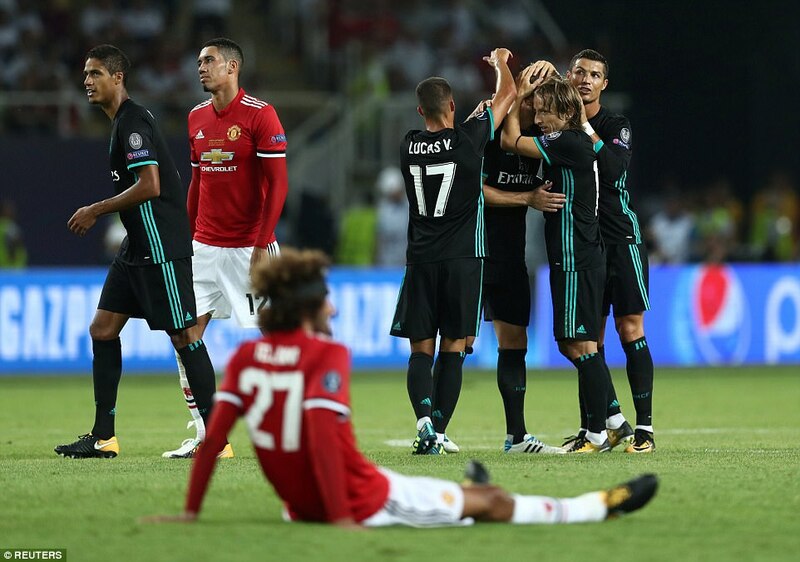 The difference, right now, between Real Madrid and Manchester United. 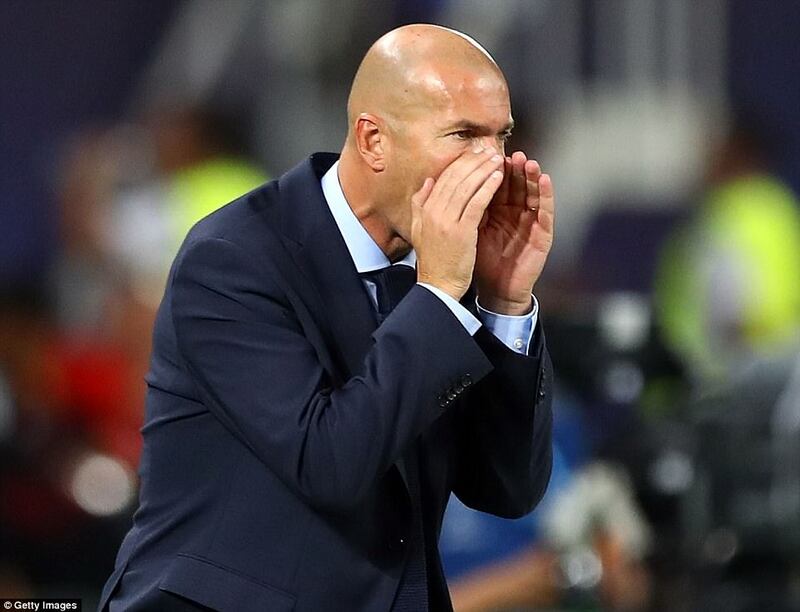 His old club deservedly became the first club to win back-to-back UEFA Super Cups in 27 years, just as they have successfully defended the European Cup under Zinedine Zidane. 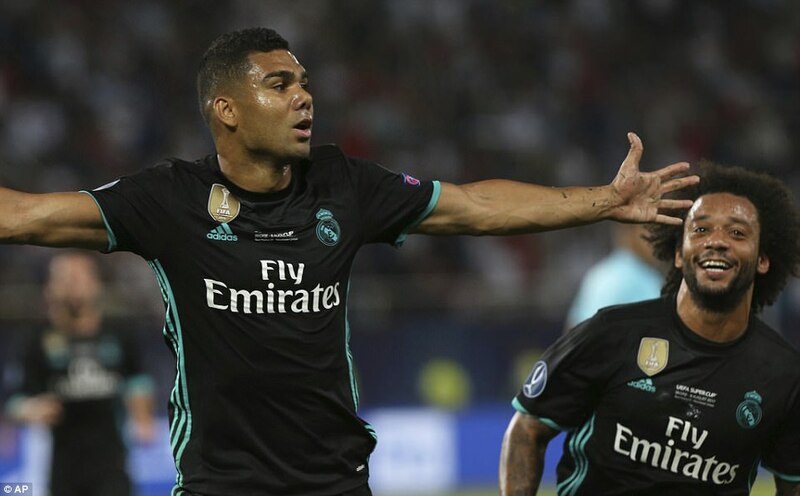 Real Madrid (4-4-2): Navas, Carvajal, Sergio Ramos, Varane, Marcelo, Kroos, Modric, Bale (Asensio 74), Casemiro, Isco (Lucas 74), Benzema (Ronaldo 83). 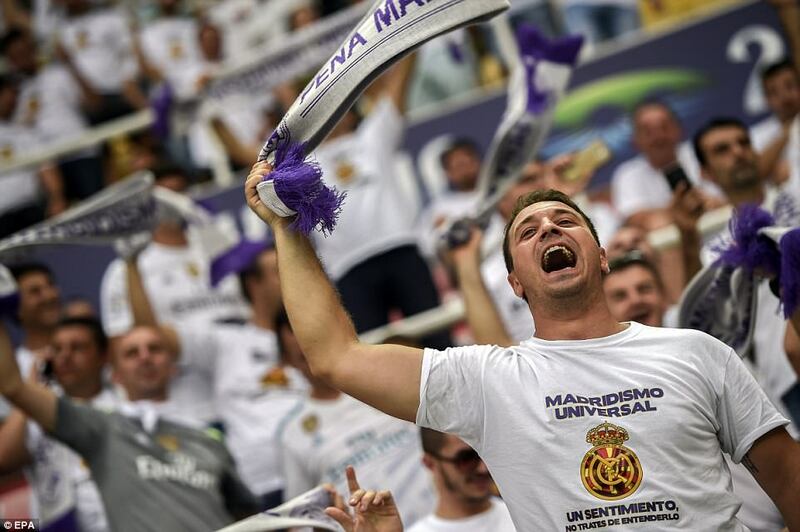 Unused subs: Casilla, Nacho, Hernandez, Kovacic. 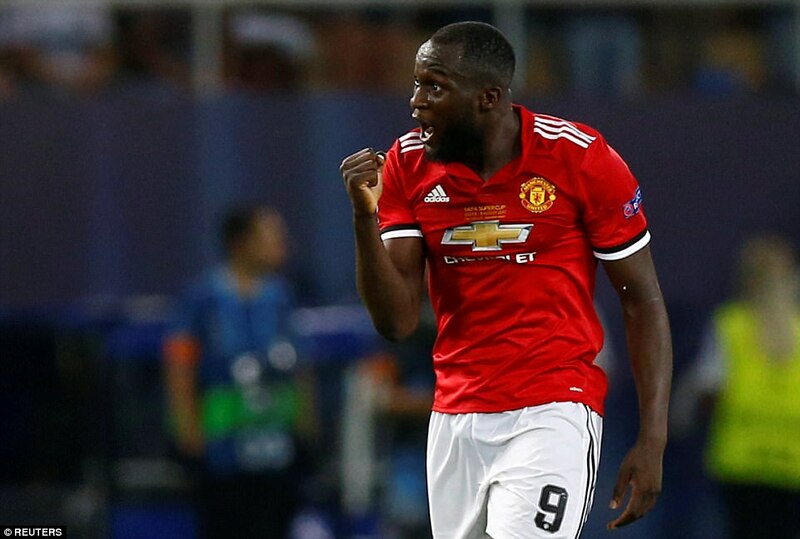 Man Utd (4-3-3): De Gea, Lindelof, Darmian, Smalling, Pogba, Lingard (Rashford 46), Ander Herrera (Fellaini 56), Mkhitaryan, Valencia, Matic, Lukaku. Unused subs: Romero, Mata, Martial, Carrick, Blind. 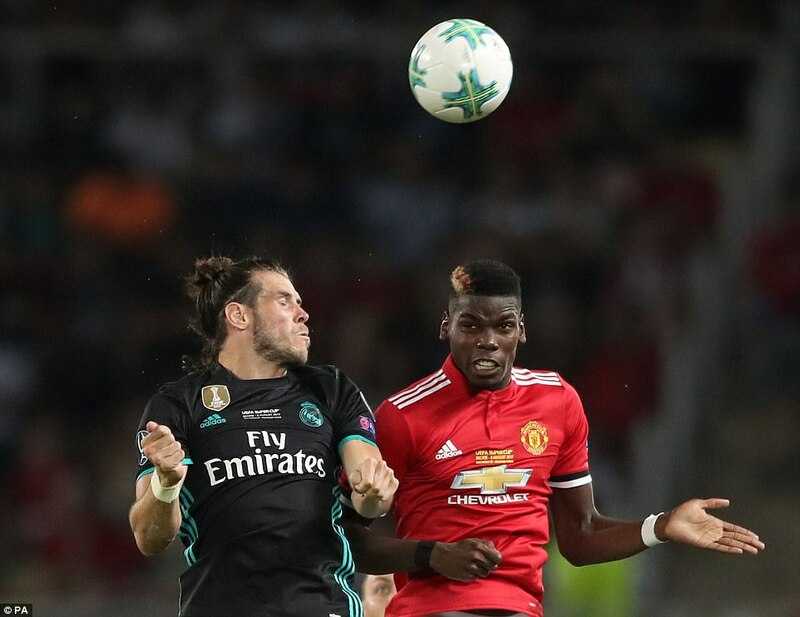 The Real coach called Mourinho’s bluff by playing Gareth Bale 24 hours after the United manager had suggested bidding for the Wales star if he was left out of the line-up — and won just about every other battle on the night. 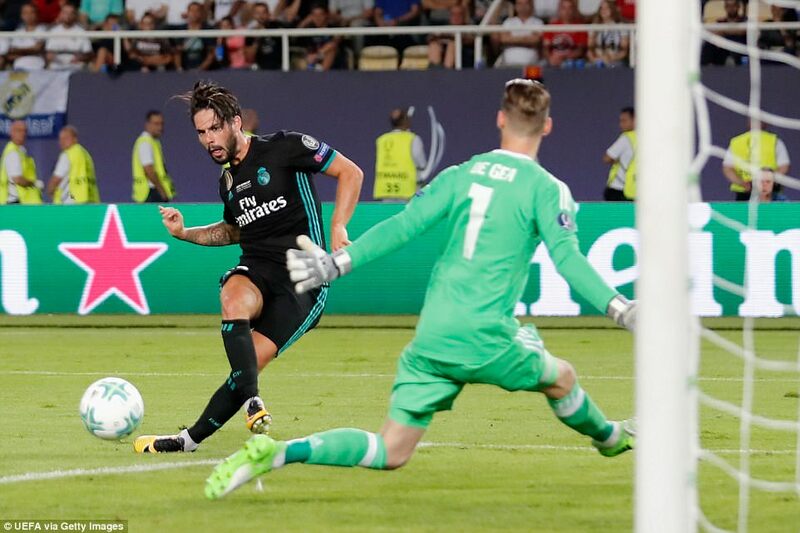 Bale did not look like a player out of sorts in Spain and set up Madrid’s decisive second goal before hitting the bar. Replacing Cristiano Ronaldo with Bale was the only change from the Madrid side that beat Juventus in the Champions League final in May, and they played like European champions here. United, on the other hand, look well short of that level. 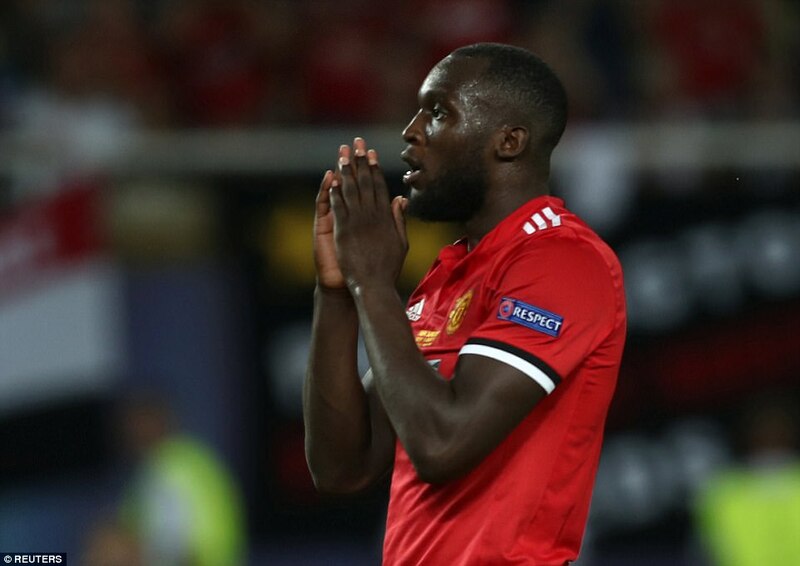 Nemanja Matic had a solid competitive debut but another summer signing, Victor Lindelof, struggled again and Romelu Lukaku has significant room for improvement despite scoring the goal that gave United hope of an unlikely and undeserved comeback. 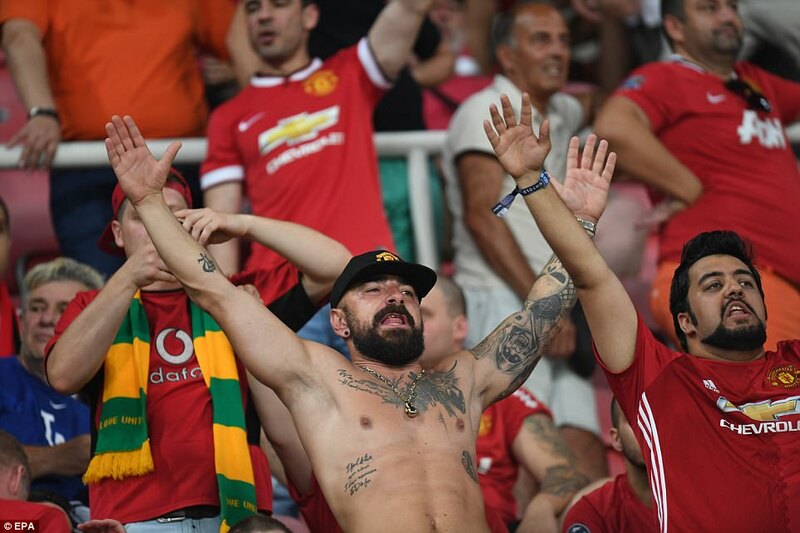 There is no doubt how much Skopje has embraced the first European final to be staged on Macedonian soil these past few days, and a 33,000 sell-out was a vindication of UEFA’s plans to take this fixture to more remote areas of the continent. 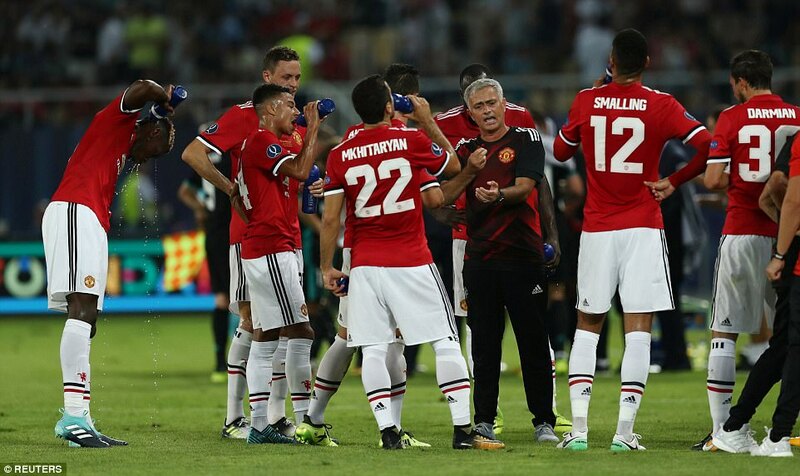 Having experimented with a number of formations in pre- season, Mourinho settled for 3-5-1-1 in the absence of the suspended Eric Bailly and Phil Jones. 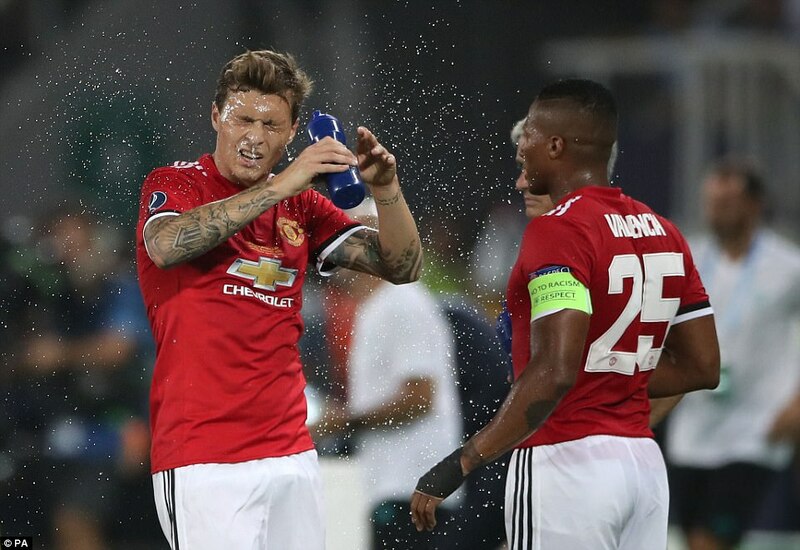 It meant official debuts for Lukaku and Matic as well as Lindelof, whose unconvincing displays this summer included conceding a needless penalty against Madrid in Santa Clara last month. The Swede didn’t look comfortable against Bale on this occasion either, but couldn’t be faulted for the lapse that almost presented his opponent with an opening goal after two minutes. 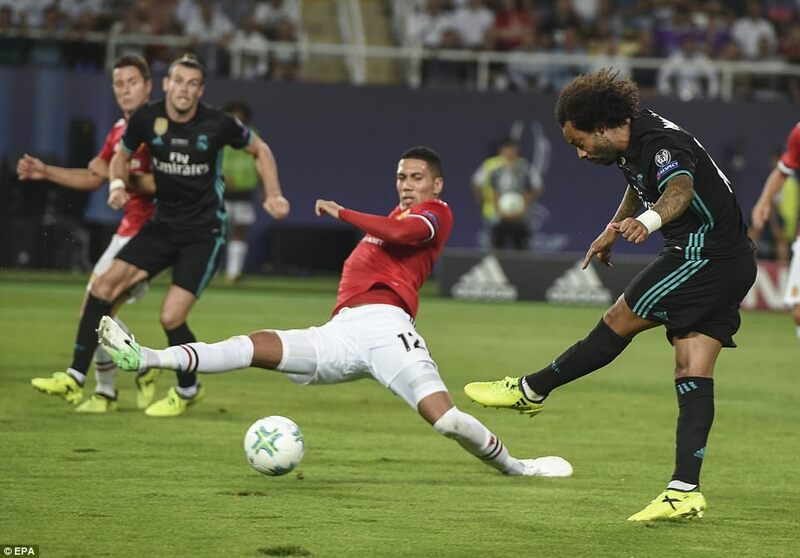 Marcelo’s cross from the left took a deflection off Henrikh Mkhitaryan and looped up dangerously towards the edge of the six-yard box. 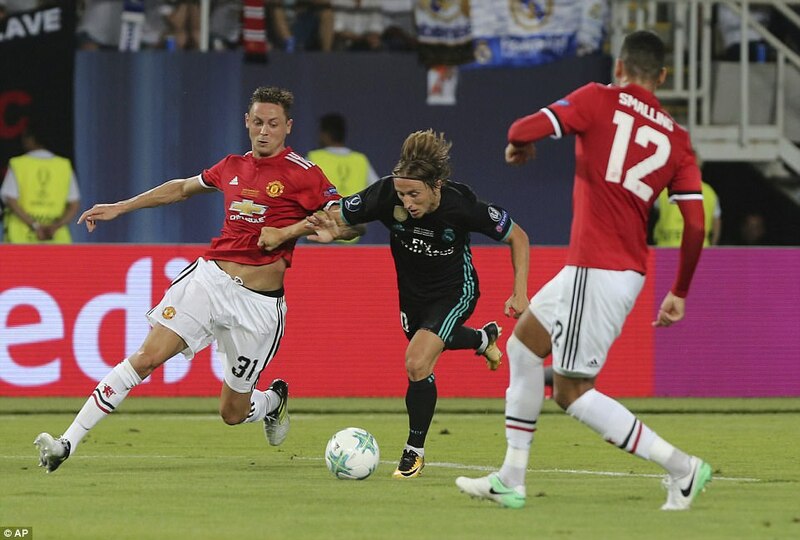 Both Matic and Paul Pogba left it and Bale stuck out his right foot to divert the ball narrowly wide. 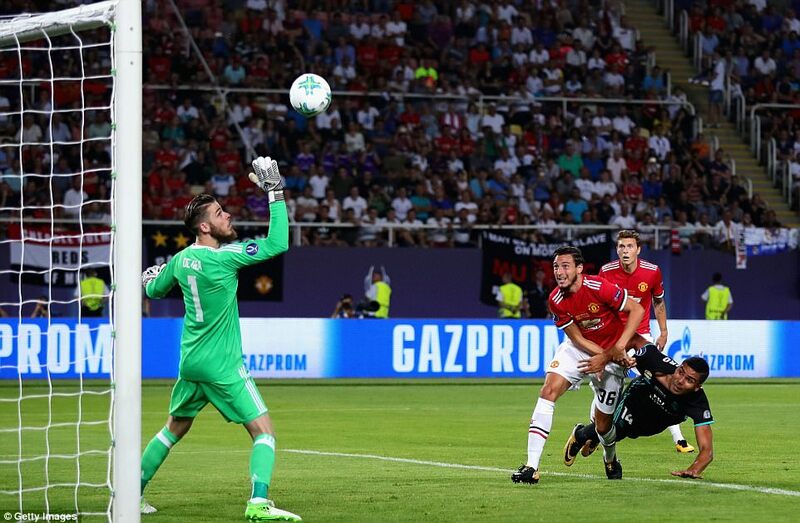 More good work by the Welshman led to United conceding a corner in the 16th minute from which Real hit the woodwork. 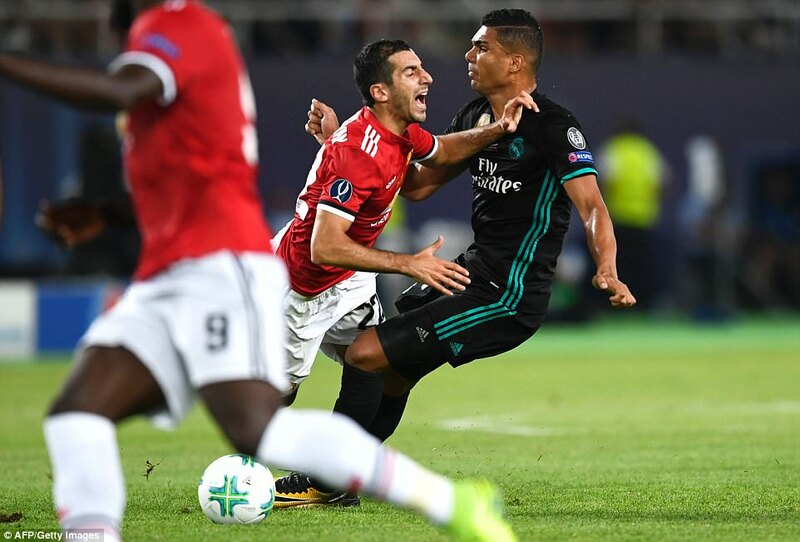 Pogba was unable to reach Toni Kroos’ cross and Casemiro got free of Matteo Darmian to rattle the bar with a close-range header. 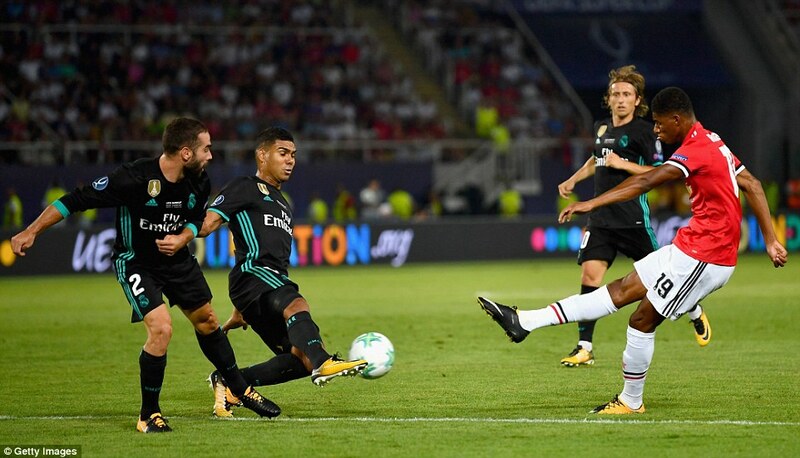 Casemiro then blazed wide from Darmian’s poor back-pass before the Brazilian gave Madrid the lead in the 24th minute. 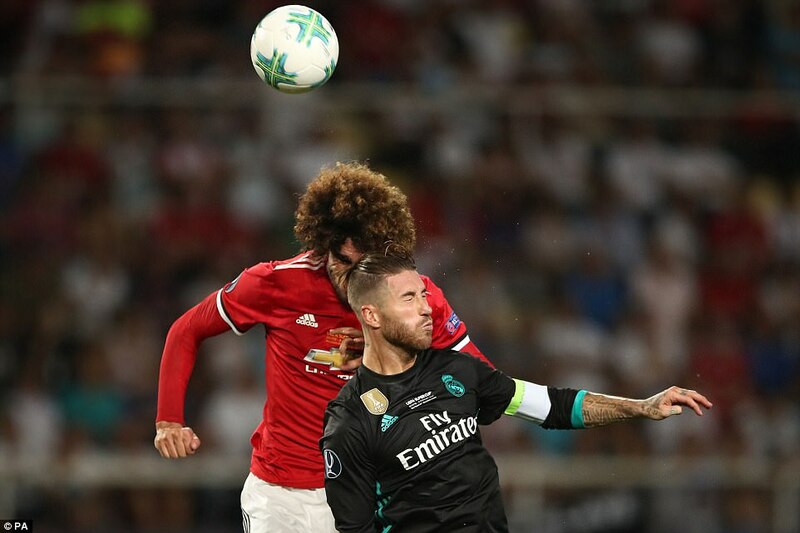 He was hovering on the shoulder of Lindelof, perhaps marginally offside, when Dani Carvajal floated a pass over the top of the United defence. It was simple but very effective. 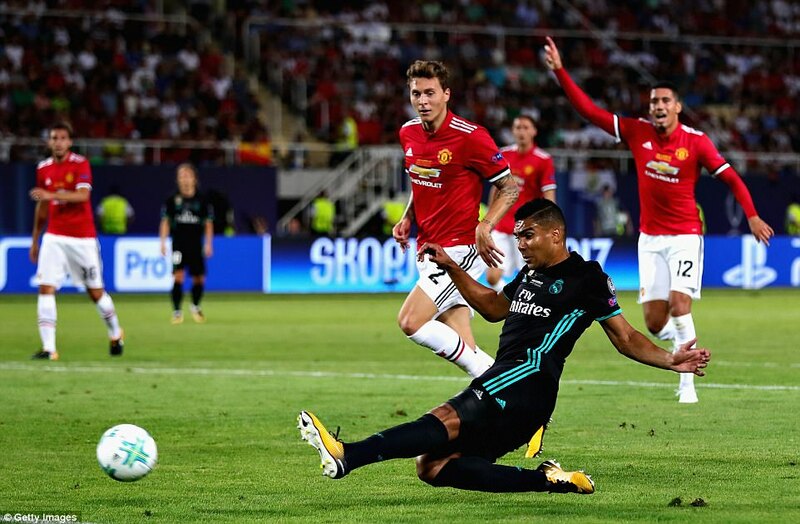 While Lindelof was appealing in vain to the referee, Casemiro anticipated the flight of the ball and met it with a controlled, first-time finish with his left foot beyond David de Gea. 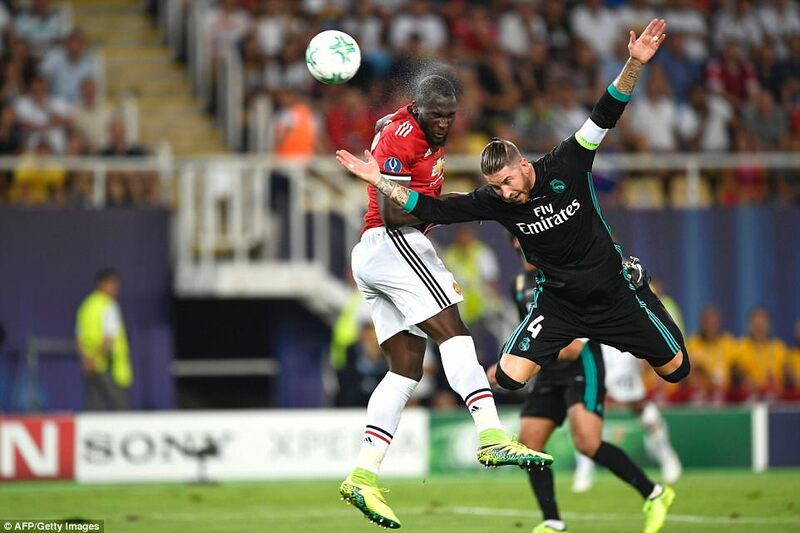 It was no more than Madrid deserved after forcing United to defend deep and increasingly desperately after an encouraging start. 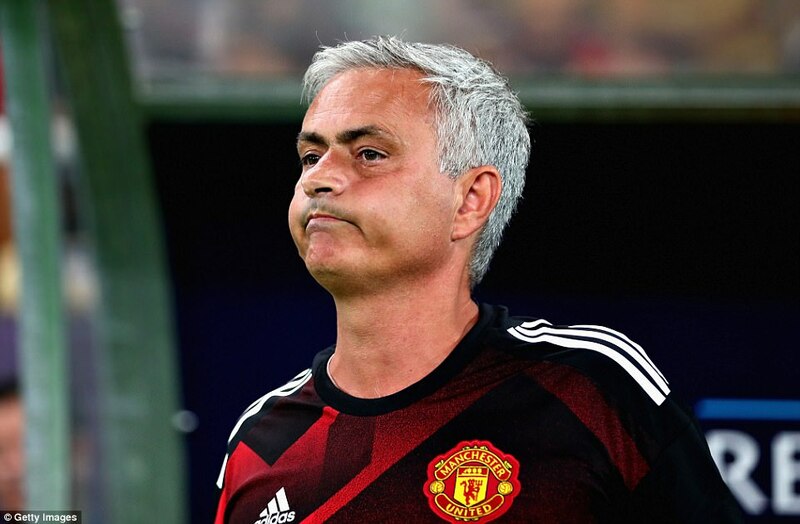 On the few occasions Mourinho’s side threatened in the first half, the chance was wasted through sheer carelessness. 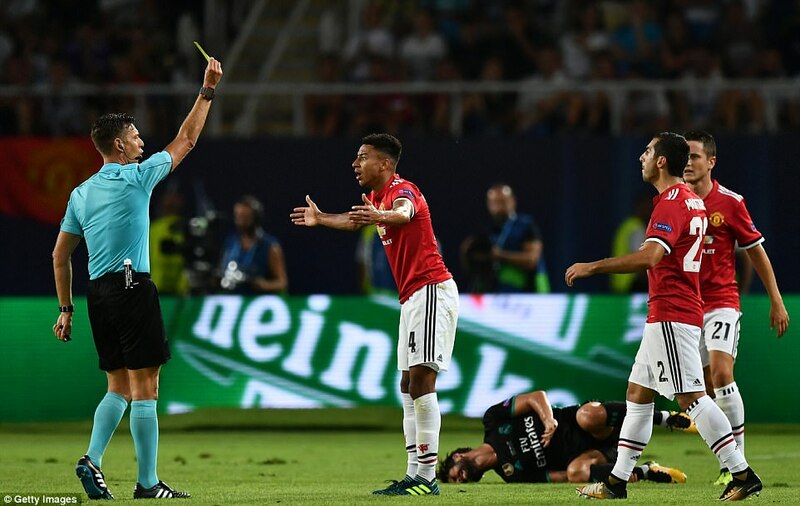 Pogba should have played in the unmarked Jesse Lingard rather than shoot from distance, and when Ander Herrera had the chance to go clear, Lukaku jumped in before him even though he was clearly offside. Mourinho sent Marcus Rashford to warm up before replacing Lingard at half-time. 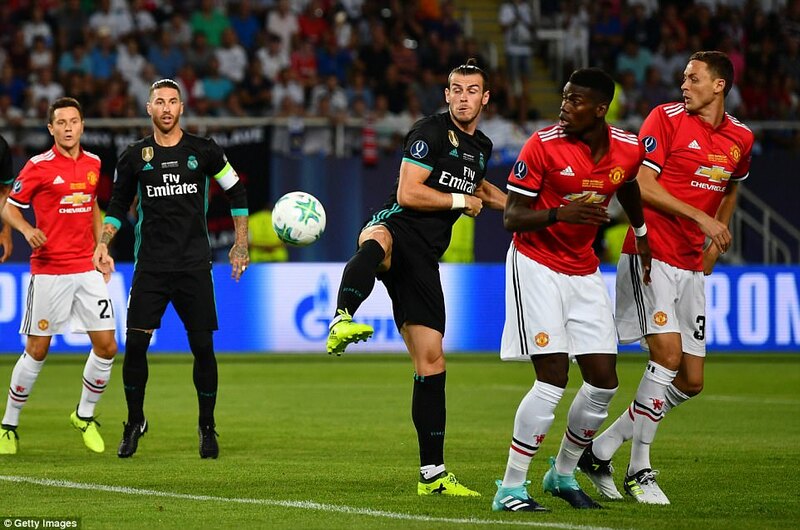 But the tide continued to flow towards De Gea’s goal and he produced a fine save to turn away Kroos’ effort after he had been teed up by Bale. 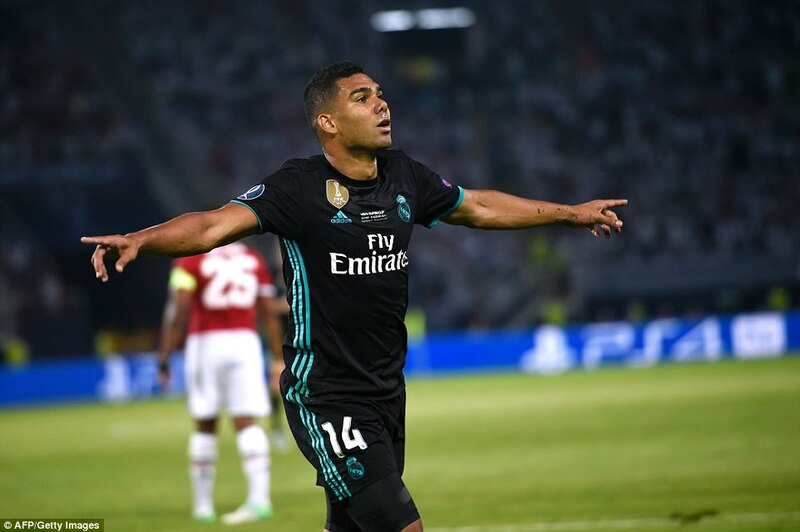 The former Tottenham star was again the provider when Real increased their lead in the 52nd minute. 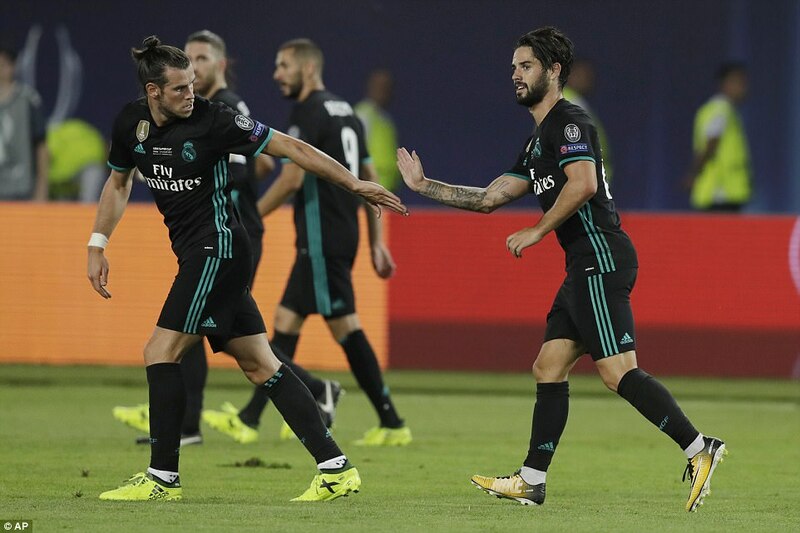 Again there was a sublime simplicity to the build-up as Isco took a pass infield from Karim Benzema and played the ball to Bale. 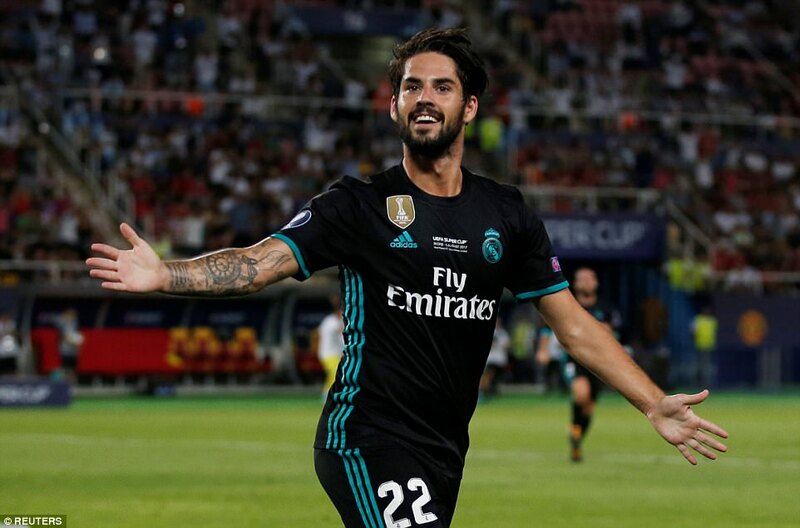 The return pass was timed and weighted to perfection, playing in Isco behind the United defence. 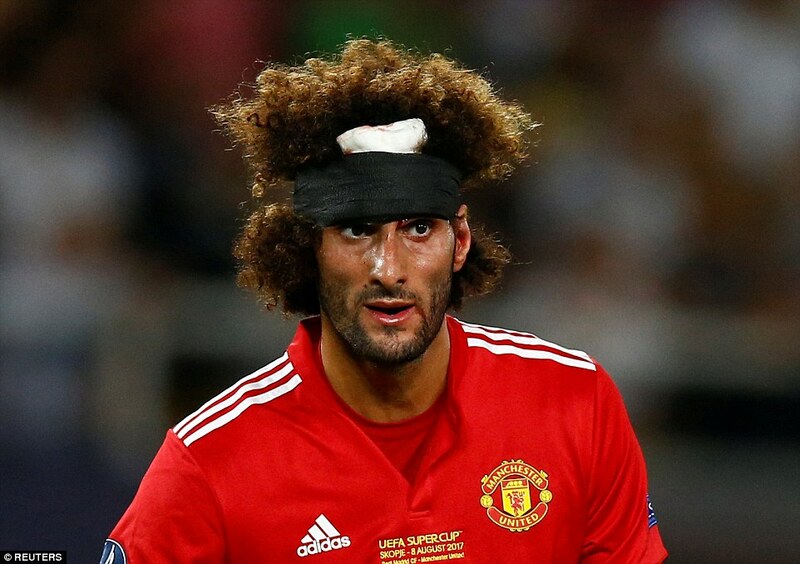 He took one touch and slipped the ball past De Gea. 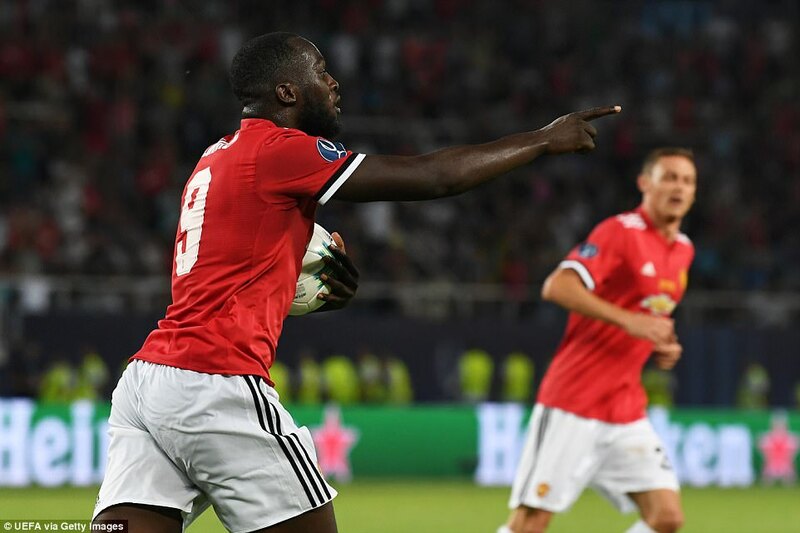 Lukaku was guilty of a horrible miss, blazing over from less than 10 yards out after Navas could only palm Pogba’s header from a Herrera cross straight to him, before he fired United back into the game in the 62nd minute. Bale had just crashed an effort against the underside of the bar when Matic drilled a shot from the edge of the box. Again Navas couldn’t hold it and Lukaku turned the loose ball home. 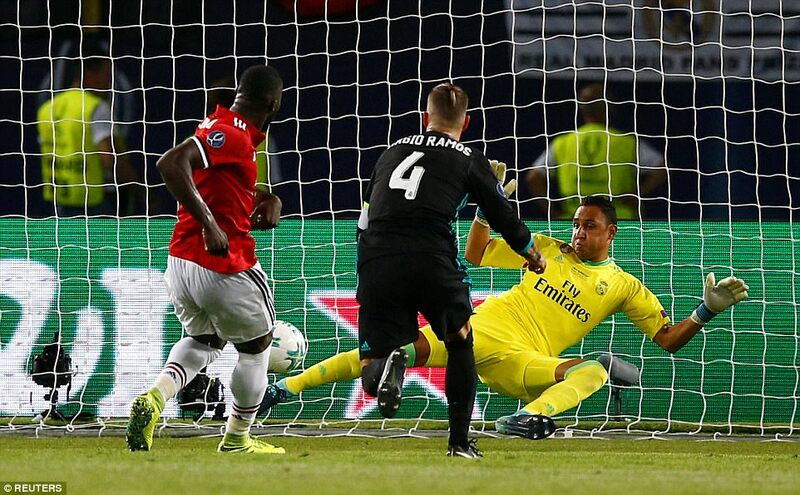 Rashford should have equalised with nine minutes left but scuffed his shot and allowed Navas to save. 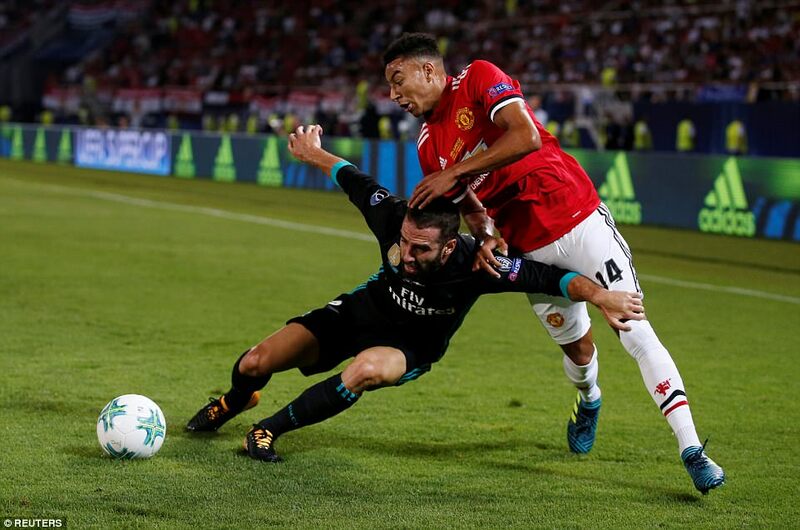 Extra-time, though, would have flattered United, and it took a stunning save by De Gea to deny Marco Asenio late on. 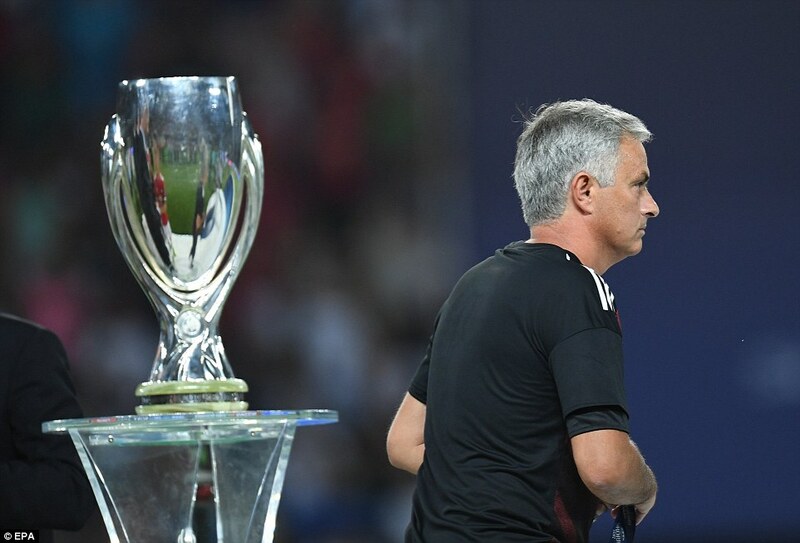 Real have their fourth UEFA Super Cup and Mourinho is still waiting for his first. That will not bother him nearly as much as trying to make up the difference between these two clubs.